Seth McFarland grew up on his family’s ranch in Carmen Creek, just north of Salmon, Idaho. Last year, he graduated from the University of Idaho with a range management degree. McFarland was eager to apply what he learned from college in managing the ranch. He’s set up more than 10 range-monitoring transects on their private land and nearby Bureau of Land Management and Forest Service grazing allotments. Today, McFarland is recording information from a line-point intercept monitoring transect on the Badger Springs BLM allotment adjacent to their ranch. Range monitoring helps document rangeland ecological conditions over time on federal grazing allotments and on private ranchlands. 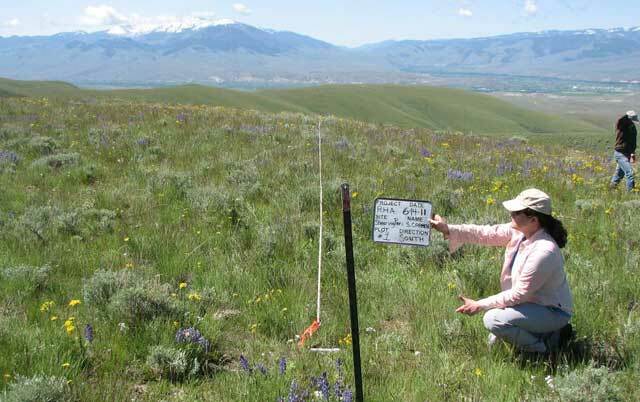 At the monitoring points, McFarland is finding native bluebunch wheatgrass, Idaho fescue, wildflowers and sage brush, among other species. His Dad found a grouse nest under a sage brush a few feet away. Range monitoring is becoming more important as ranchers realize the need to track ecological conditions on private and public rangelands. 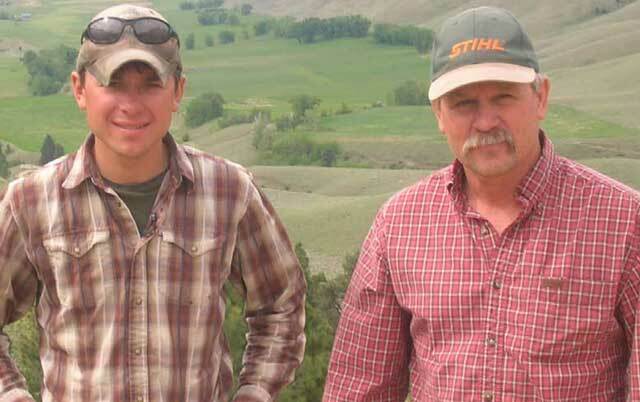 Rancher Tom McFarland is happy to see his son return from college with the knowledge of how to monitor rangelands with scientific integrity. Seth McFarland uses a previous monitoring photo to help him find the same photo point he used previously. Here, he’s documenting ecological conditions in a meadow along Carmen Creek on the McFarland Ranch. 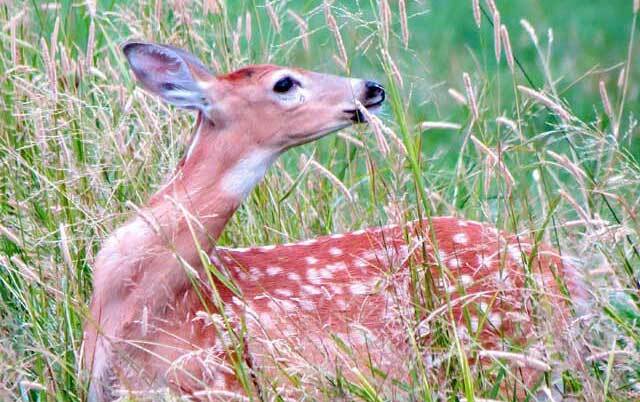 The family’s objectives for the meadow are to improve wildlife habitat and create forage for fall livestock grazing. “If we’re going to keep ourselves on federal lands, we need to manage it in such a fashion that ecologically it’s sound for everything else out there, the wildlife, the fish, all of those other critters, and I think the monitoring is going to give us the basis, the real tool, to be able to do that and show that we are good stewards of the land,” Tom McFarland said. This year, the University of Idaho, the Idaho Cattle Association and the Idaho Rangeland Resource Commission co-sponsored range-monitoring workshops so ranchers can learn the proper techniques for tracking range conditions. Plus, the pictures tell a story about the land over time. 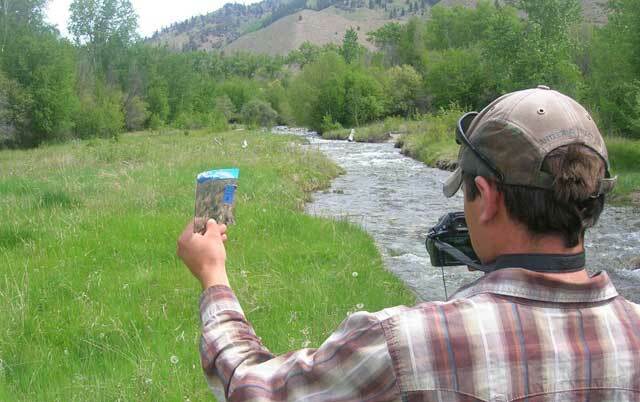 In the Fish Creek meadows area, ranchers broke into teams to set up photo monitoring points in a riparian area. We followed the “Pam” group with Pam Schwenkfelder, a Cambridge rancher. The first question our group had was: How do you decide where to locate the photo-monitoring point? Amanda Gearhardt helped the group decide on the location. “What’s going to show change out here? What are you going to try to influence with your management out here?” she asked. Monitoring on riparian areas can include before and after photos to show the regrowth of woody vegetation such as willows and other riparian plants over time. “So maybe there’s two goals here,” Gearhardt said. “We want to see what our cows are eating, and we want to see what the temperature of the stream is. So we take two pictures. Awesome, good job! Pam Schwenkfelder takes a photo looking downstream and upstream from the photo point in the Fish Creek meadow. The white board indicates the location and the date. The GPS coordinates of the monitoring location are logged for future reference. This can be done with a smart phone or GPS unit. And the location should be marked as well with a stake or something that’s easily found in the field. 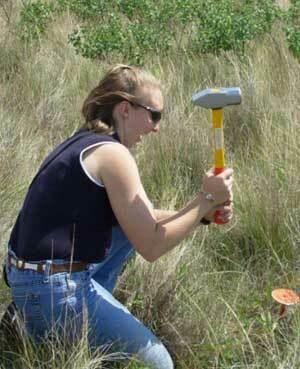 Amanda Gearhardt pounds a range monitoring marker into the ground for easy reference to find the photo point in the future. It’s also helpful to GPS the location and keep that information for future reference. Experts recommend that ranchers should take notes on plant species, weather conditions and other helpful information to supplement the photo data. “Write the main stuff down. If you did a stream bank, you’d probably want to say, was it bare? Is it stable, is it eroding, getting more stable?” said Karen Launchbaugh, a workshop leader and professor of range science for the University of Idaho. Next, the group heads up the hill to set up a monitoring point on an upland site. Rancher Jason Anderson sets up the white board information with the date and location. Holly Hampton points out that it’s helpful to include natural landmarks in photos. Pam reconfigures her position and gets the shot. Ranchers said the tips on photo-monitoring were helpful. Seth McFarland has shown a lifelong interest in plants, wildlife and cattle ranching since he was a boy. 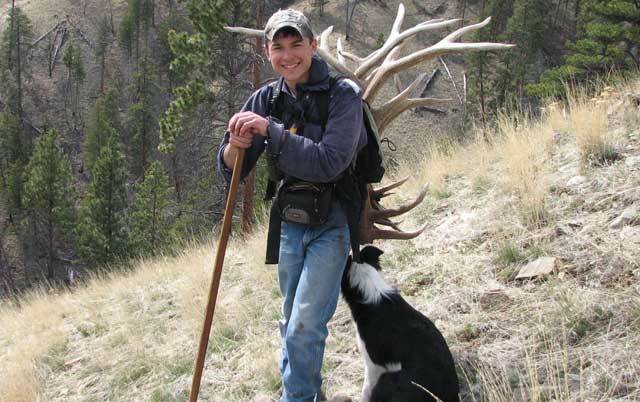 Seth’s passion for these things led to him getting a bachelor’s degree in range ecology from the University of Idaho. He has set up monitoring transects on his family’s ranch and also works as a contractor for the BLM and Forest Service to collect range-monitoring data. McFarland keeps close watch over wildlife on the ranch. Seth hopes that range monitoring on private and public lands will ensure a long future for his family. 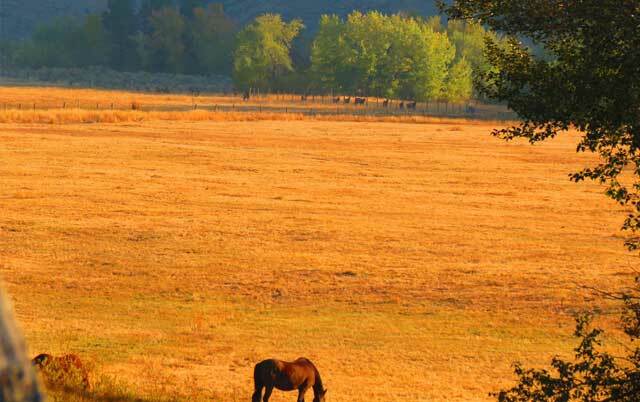 The McFarland Ranch is part of the Central Idaho Rangelands Network, a group of ranchers and conservationists who take innovative approaches to grazing, land and water management to sustain and enhance the natural and community values of the region. Tom McFarland, meanwhile, says it’s great to have a son who’s so interested in range management. “Seth always had an intense interest in plants and the land. When other kids wanted to play sports, Seth wanted to go watch the wildlife and do things in the greater outdoors. Over time, that’s grown. He’d go collect antlers and kept dairies about what was happening out on the landscape. That’s really helped him.